Jonathan was educated at Honley High School, West Yorkshire, and Hertford College, Oxford. From 1988 to 2000 he was Lecturer/Senior Lecturer and then Reader in Geography at Kingston University. He came to UCL as research director of the Environmental Change Research Centre (ECRC) and Reader in Environmental Change in 2000. 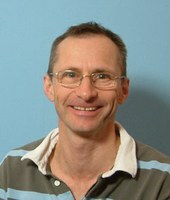 He is currently Professor of Physical Geography and director of ECRC. van Hardenbroek, M., A. Chakraborty, K.L. Davies, P. Harding, O. Heiri, A.C.G. Henderson, J.A. Holmes, G.E. Lasher, M.J. Leng, V.N. Panizzo, L. Roberts, J. Schilder, C.N. Trueman, M.J. Wooller (2018) The stable isotope composition of organic and inorganic fossils in lake sediment records: Current understanding, challenges, and future directions. Quaternary Science Reviews, 196,154-176. Holmes, J.A., Barker, P. A., Leng, M. J. (2016) Editorial: Quaternary palaeoenvironmental proxies and processes – papers in honour of Professor Alayne Street-Perrott. Journal of Quaternary Science 31, 281–285. Burn, M. J., Holmes, J. A., Kennedy, L. M., Bain, A., Marshall, J. D., Perdikaris, S. (2016) A sediment-based reconstruction of Caribbean effective precipitation during the ‘Little Ice Age’ from Freshwater Pond, Barbuda. The Holocene 26, 1237-1247. Holmes, J.A., Metcalfe, S., Jones, H.L., Marshall, J.D. (2016). Climatic variability over the last 30,000 years recorded in La Piscina de Yuriria, a Central Mexican Crater lake. Journal of Quaternary Science, 31, 310-324. Zhang J, Ma X, Qiang M, Huang X, Li S, Guo X, Henderson ACG, Holmes JA, Chen F (2016). Developing inorganic carbon-based radiocarbon chronologies for Holocene lake sediments in arid NW China. Quaternary Science Reviews, 144, 66-82. Jones, M. D., Djamali, M., Holmes, J., Weeks, J. L., Leng, M. J., Lashkari, A., Alamdari, K., Noorollahi, D., Thomas, L., Metcalfe, S. E. (2015) Human impact on the hydroenvironment of Lake Parishan, SW Iran, through the late-Holocene. The Holocene, 25, 1651-1661. Methodological developments in the application of carbonate nonmarine microfossils and microfossil geochemistry to palaeoclimate reconstruction. Detecting changes in local ponds was an exciting project at a junior school in Surrey in which I was the university partner. The project, which ran from 2012 to 2014, was funded by a partnership grant from the Royal Society and designed to give school children the opportunity to take part in a genuine scientific research project. The grant has provided money for lab and field equipment in the school. I contributed to the BBC World Service Science in Action programme in connection with the drying of the Sahara (May 2008). This work, which was a ‘Perspective’ piece that I wrote for Science, also attracted media attention from the New York Times and various popular science publications. I was interviewed for BBC Breakfast TV in connection with IPCC 4th assessment (2007), BBC Lunchtime news (2007) in connection with the finding that 2006 was the hottest year for Britain on record and on the European heatwave (2017). I acted as consultant for BBC Science and History Programme ‘Superstorm’ and shot video footage in Western China’s drylands in 2006. I managed the production of, and contributed to, Water Resources and Sustainable Development in North West China: a case Study of the Minqin Basin a bilingual (English – Mandarin) information brochure for water managers and local government officials in Gansu Province, P. R. China, published in 2002 and was invited participant in UK-Nigeria Bilateral Forum on environmental change, hosted in London in 2000 by the UK Foreign and Commonwealth Office and attended by a small group of British and Nigerian government ministers, NGO representatives and academics.